Viknesh Vijayenthiran March 16, 2018 Comment Now! General Motors will put into production self-driving cars devoid of steering wheels and pedals in 2019, the automaker said Thursday. GM also said it planned to start a commercial service for the vehicles that same year, where the public would be able to hail a ride via an app. 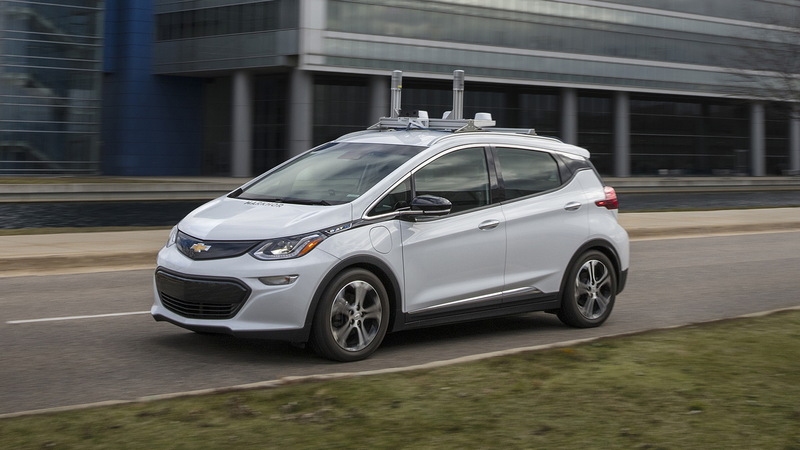 The car, known as the Cruise AV (Autonomous Vehicle), is based on the Chevrolet Bolt EV. Production will take place at GM's Orion Township plant in Michigan, the same plant where the Bolt EV is produced. 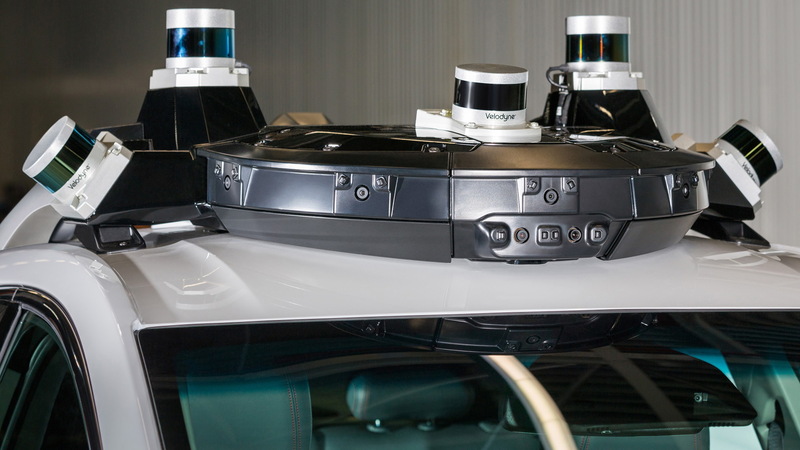 The roof-mounted modules that contain most of the hardware required for automated driving, including lidar, radar, and cameras, will be produced at GM's Brownstown plant. The plant, which is also located in Michigan, is where GM currently produces some batteries and in 2020 will also produce fuel cell stacks. 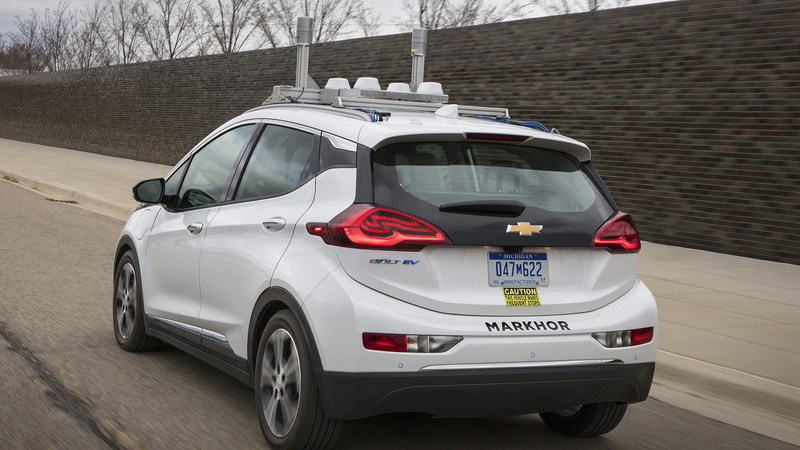 GM showed us the Cruise AV in January but this is the first time the automaker has committed to a timeline for commercialization of self-driving cars. GM is yet to announce which location(s) the Cruise AV will be launched in, though it will likely be somewhere where prototypes are already testing. The list includes downtown San Francisco, as well as Scottsdale, Arizona and Warren, Michigan. GM also plans to start testing prototypes in Manhattan soon. 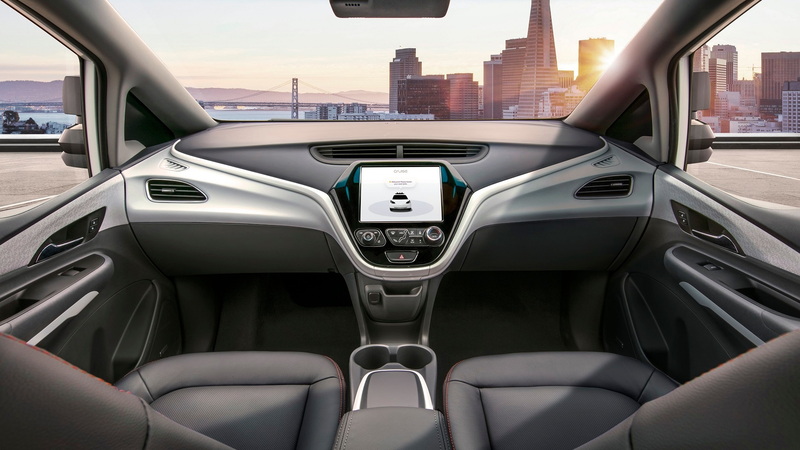 GM is still waiting on federal approval for use of the Cruise AV on public streets, which is much harder than for other self-driving cars because of the lack of a steering wheel and pedals. The prototypes could escape this issue because they still have steering wheels and pedals. The automaker will also need to receive approval at the state level; the current list of states that would allow it include Colorado, Georgia, Michigan, Nevada, North Carolina, Tennessee and Texas. Should all go to plan, the cars will join a ride-sharing fleet either operated by GM or a partner such as Lyft. GM last August announced its own ride-sharing service called Cruise Anywhere that so far has only been used by employees at Cruise Automation, the self-driving car development company acquired by GM in 2016 for a rumored $1 billion. Both GM and Waymo's self-driving cars are at Level 4 capability. This is because they are restricted to areas with sufficient map data and are also incapable of handling certain weather conditions, such as heavy snow. The final goal is a Level 5 car, which can handle all situations that a human driver is capable of.